A battle of truly intergalactic proportions wages in this week's paid iPad app charts, as Disney's newly-released Toy Story: Smash It! debuts in the top spot and AVP: Evolution claws its way towards the top of the food chain. It's the movie crossover I'd love to see. 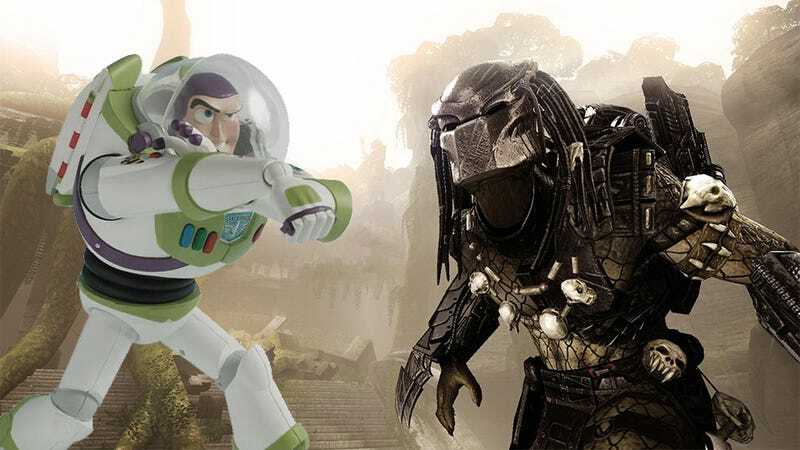 The Toy Story film franchise is spectacular, but what they really need to do is drop Woody and Buzz into the adult collectible world, facing off against MacFarlane Toys and Sideshow Collectibles' most gruesome creations. I suppose we'll just have to settle for Star Wars toys in the next movie. Check out Real Racing 3 at the top of the free charts! That's what a massive marketing budget will get you. Or you could have no marketing budget and your paper doll game can still make it to number three on the charts. I love mobile gaming.